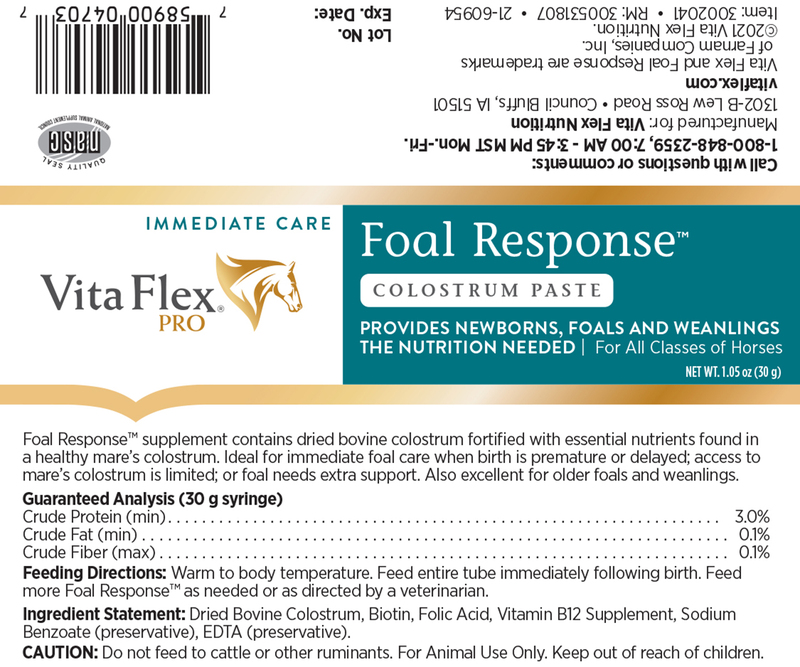 Vita Flex Foal Response supplement contains dried bovine colostrum fortified with essential nutrients found in a healthy mare’s colostrum. Ideal for immediate foal care when birth is premature or delayed; access to mare’s colostrum is limited; or foal needs extra support. Also excellent for older foals and weanlings. 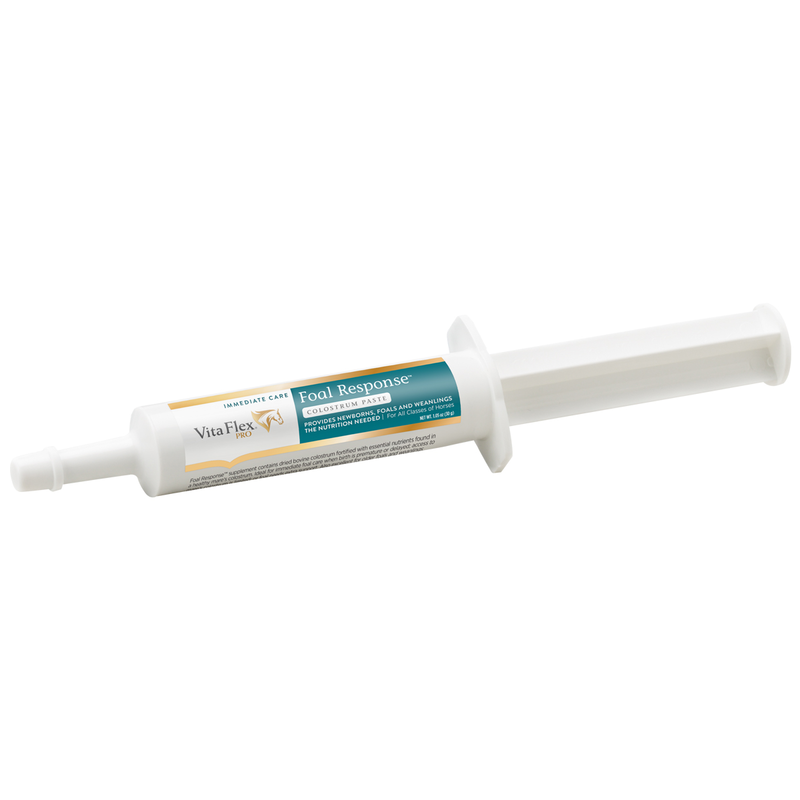 Provides newborns, older foals and weanlings with the nutrition they need at birth to stimulate immune response. Also excellent for older foals and weanlings. Warm to body temperature. Feed entire tube immediately following birth. Feed more Foal Response as needed or as directed by veterinarian. Vita Flex Pure Lysine Horse Supplement is a super-concentrated source of L-Lysine HCI, an essential amino acid most often deficient in horses' diets. Vita Flex Pure Lysine is especially recommended for equine diets low in alfalfa, clover and soy. Extra-concentrated blend, our best value in blended DMG. Give less, get more, and save money, too!